Dolores Dreamin: Holiday Returns to the "River of Sorrow"
The stars aligned, and the cosmos have put in place the perfect recipe, giving us enough snow-pack to play in a forgotten wonderland; a refuge; a secret garden of the Colorado Plateau: the Dolores River. Originally named by Spanish Colonizers “The River of Our Lady of Sorrows”, this maternal river has indeed brought forth life for a wild and diverse ecosystem along its banks; however it is now rare to find too many humans inside her canyon walls. This is a once in a decade (or two decades) opportunity; for 2 trips only, Holiday will be running the Dolores River. This reclusive river isn’t found on almost any outfitters page, as it is typically too low to even run. Of course, it hasn’t always been so, but since the 1985 construction of the McPHee Dam and the regional droughts of the 1990’s and 2000’s, this ribbon of life has been squeezed and sucked to a low-flow stream for most of its annual run. Now with a few good water years under our belt and reservoir built up, the water allocations to farmers can be met handily, and we the boating community have the good fortune of enough ‘liquid-gold’ to visit this magical canyon. 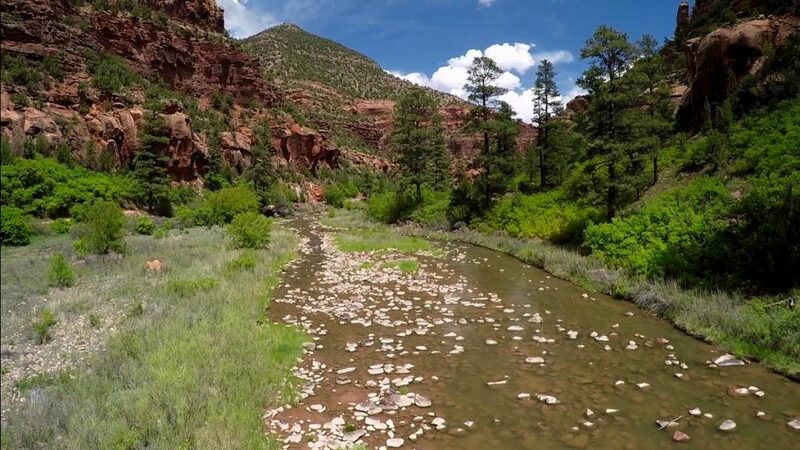 From Gateway Colorado to the confluence of the mighty Colorado River, the Dolores hosts a abundant riparian ecosystem along its banks; varnished cliff-faces give way to classic Colorado Plateau vistas. Spend the first day entering into the lower canyon and seeing a few warm up rapids before “Stateline” a major feature of the trip. Later that day, likely match up against a relatively new rapid “Rockslide”. The next two days spend time following swiftly descending bends punctuated with moderate whitewater sections. By the 3rd day of the trip find the confluence of the Colorado River and finish your trip with some remaining playful and at times punchy whitewater, surrounded by some of the plateaus most iconic scenery: fisher-towers, priest & the nuns & some incredible geologic faulting. This rare adventure isn’t for the faint-of-heart perhaps, but rather the adventurous who have a real bucket list to check-off. We are so excited that all the guides will be drawing straws to get on this incredible trip series; we hope you take advantage of this fleeting opportunity to see the Dolores River while seats are available in the boats! Do your snow dancing and hope for another chance to see this amazing canyon. Now for all the Trip Details! We meet for your trip in Green River, Utah at Holiday River Expeditions headquarters (see Google map), 8:00 a.m. (Mountain Time) the morning your trip begins. Our headquarters is located 1/4 mile east of the Green River Bridge, across the highway from the Motel 6 and behind the Comfort Inn. If you arrive in Green River by shuttle, bus, Amtrak, or plane, call our headquarters (435-564-3273) upon your arrival to make arrangements to have you and your gear transported to our headquarters the morning of the trip. If you are driving, your car can be left at our headquarters. Beginning of the trip: Upon your arrival at our headquarters (8:00 a.m., Mountain Time), we will issue your waterproof bags. You can buy any last minute items from our accessory’s store at this time (see our packing check list for a list of items you can find at our store). We will then take a 90-minute van ride to the embarkation point, where we will transfer to the boats. After the trip: We will return you to Green River (90 minute van ride). Our expected time of arrival back at our headquarters is 4:00 to 5:00 p.m.
Medical emergencies: Our guides are trained in first aid and carry first aid supplies only. REMEMBER to bring your own prescription medicines. ALERT our guides to any medical problem you might have such as diabetes or allergic reactions. Wilderness expeditions are a long way from hospitals, doctors, and pain-relieving medicines. Evacuations to modern medical care are uncertain, and protracted. In case of evacuation and/or medical treatment beyond first aid, expenses incurred are the responsibility of the participant. Cancellation Policy: If cancellations are made prior to 90 days before the trip, monies will be refunded less a $50.00 service charge per person. If cancellations are made within 90 days and outside of 60 days of the trip date monies will be refunded less a $100.00 service charge per person. Cancellations made within 60 days of the trip date are non refundable. Prior to 60 days to the trip date we will transfer reservations to another trip in the same year with a $25.00 service charge per person. All policies will be enforced and we strongly recommend trip cancellation insurance. Cancellation of a trip is very unlikely, but we reserve the right to cancel any trip due to river or weather conditions or the lack of sufficient reservations. A full refund will be made if such is the case. Insurance: Medical Evacuation and cancellation insurance on a vacation plan can be obtained from numerous insurance companies. You should be aware that medical evacuations in the backcountry can easily cost $10,000 and up. You are responsible for these potential expenses and we strongly encourage all guests to have this coverage. We offer plans by TRAVEL GUARD that cover evacuation, baggage and cancellation claims. It is available to American and Canadian citizens, as well as citizens of another country as long as you have a U.S. address. For a quote or questions give us a call or include Your Names, Birth Dates in an Email and we will send a quote. Also, if you are bringing expensive cameras, binoculars, or other items we suggest you have insurance coverage for them (commonly available through Homeowners Policies). In the event of a loss, our insurance will not cover those items. Tipping the guides: If you feel the guides have been instrumental in your enjoyment of the trip, you may choose to direct a gratuity to the trip leader in the form of cash or check. They will then distribute it evenly to the other crewmembers. The average contribution amount ranges between $20.00 and $30.00 per guest, per day. Cash is the preferred method of tipping. Beverages: We provide ice water, lemonade, one soda per day/person and ample cooler space. If you choose to bring any specialty sodas and/or alcoholic beverages, we have no problem taking whatever you want to bring – within reason. Don’t bring beer, wine coolers or sodas in glass containers. Wine packaged in a box is ideal. Mark beverages that you bring so they are packed on your boat. The liquor store in Green River, Utah is located in the back of the West Winds restaurant. In Utah, wine or liquor is not sold after 7:00 p.m., before 11:00 a.m., or on Sundays and holidays. If you have any questions prior to leaving for your trip, we welcome you to call our Salt Lake City office, Monday through Friday at 800-624-6323 (outside Utah) or 801-266-2087 (inside Utah). We’re happy to take the time to answer your questions. You may also contact us by email at [email protected]. Dolores weather: In the early and late seasons (May to mid‑June and late August to September) the daytime temperatures are 70 to 90 degrees, with nighttime temperatures 50 to 60 degrees. 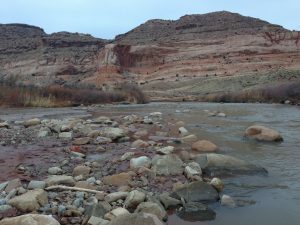 It seldom rains in on the Dolores River, but when it does, it can cool temperatures considerably in May and September. From mid‑June to mid-August the days are hot and temperatures average 80 to 100 degrees during the day and 60 to 75 degrees at night. This seems hot but remember the humidity is very low. There will be an abundance of sun, so bring a hat and plenty of suntan lotion and/or sunscreens. *Please avoid spray on sun-screen for the health and safety of your guide and fellow-guests. Bugs, snakes, etc. are generally no problem. In fact, the lack of pesky insects is one of the reasons wilderness camping on the river is so pleasant. Any river trip, however, is subject to an occasional localized insect hatch. During these hatches (most common in June to mid-July) mosquitoes can be bothersome. Be sure to bring long sleeve clothing and repellent. Insect repellents that contain “deet” are by far the most effective during heavy hatches. Citronella-based products work only in light hatches. We rarely see any snakes, but if the thought of them bothers you, try sleeping on the beaches or in a tent instead of rocky or bushy areas. Hiking is a highlight of the trip, however, it is strictly an optional activity. There should be many interesting and exploratory hikes available. Hiking can be done in durable sneakers or lightweight hiking boots. Remember that hiking and other activities vary widely pending time, and what other plans are ahead for the day on the river. The best place to eat in Green River is Ray’s Tavern. Ray’s is a true small western town bar rich in atmosphere and good food. They serve incredible hamburgers, pork chops, small salads and steaks. The Tamarisk Restaurant also offers family dining with riverside seating and some delicious cuisine to boot. Things to see in the area: John Wesley Powell Museum in Green River, Utah. Arches National Park, Dead Horse Point State Park, Canyonlands National Park, Fisher Towers, Goblin Valley State Park, San Rafael Swell, Capitol Reef National Park, Natural Bridges National Monument, La Sal and Henry Mountains and the recently added Bear’s Ears National Monument. Any of these books can be ordered online at www.bikeraft.com, or by sending the appropriate amount listed above plus $5.60 priority shipping to Holiday River Expeditions, 544 East 3900 South, SLC, UT 84107. This is available within the U.S. only. If outside the U.S. additional shipping and handling charges will be added. You can call 801-266-2087 for rates. These books can also be purchased at our headquarters in Green River. If you are flying, you can fly to Salt Lake City located 180 miles northwest of Green River, Utah. From there you can rent a car or take a shuttle with Moab Luxury Coach (call 435-940-4212 or www.moabluxurycoach.com) to Green River. If you need assistance with your travel arrangements, please ask your Holiday River Expedition reservation agent. *When making advance reservations at the River Terrace Inn or Comfort Inn, mention that you are on a Holiday River Expedition trip and you will be extended a discounted rate on your room (see above). You will need a trip invoice at check-in. BE SURE TO MAKE ADVANCE RESERVATIONS! If you are camping out, there are two campgrounds in Green River: the Green River State Park (no pool, lower rates and may have mosquitoes – call 435-564-3633 to make reservations), and the KOA Campground (435-564-8195 – across from our headquarters). The day bag 8″ diameter x 20″ high is for items you will need access to during the day. For your sleeping gear and clothing, we will furnish you with one bag 16″ diameter x 2 feet high. When properly sealed, bags are usually waterproof. Once in a while, one could develop a leak, so we always recommend packing important items in ziplock bags and leaving expensive electronics at home. Separate storage is provided for tents and beverages. Please remember to keep your gear light and compact. The less you bring, the happier you will be. Please limit gear to no more than 15-20 lbs. high quality important for Dinosaur & Desolation trips. You can rent most of the items listed above in our sleeping rental kit. We offer two varieties, our basic sleeping kit which includes a sleeping bag, sleeping pad, rain gear and cup for $40.00, or the same basic sleeping kit with a two-person tent for $65.00. Rentals must be reserved in advance, especially on the San Juan trips where we meet away from our headquarters. Rentals requested the morning of the trip are subject to availability. Cups and water bottles available for purchase at our stores in Green River and Vernal Headquarters, or online. See you around the bend!